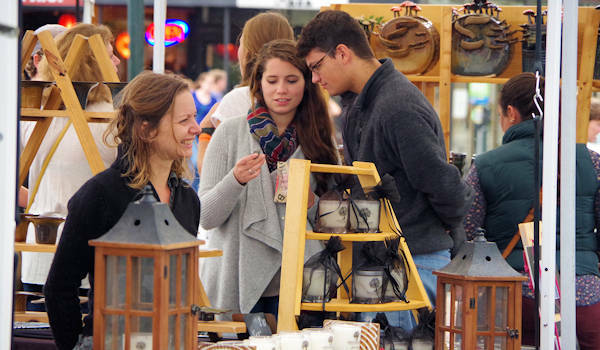 Area artists gather on six Saturdays to show and sell their creations at the Art in the Park outdoor market at Pack Square in the middle of downtown Asheville. It runs 10 AM-5 PM each day. 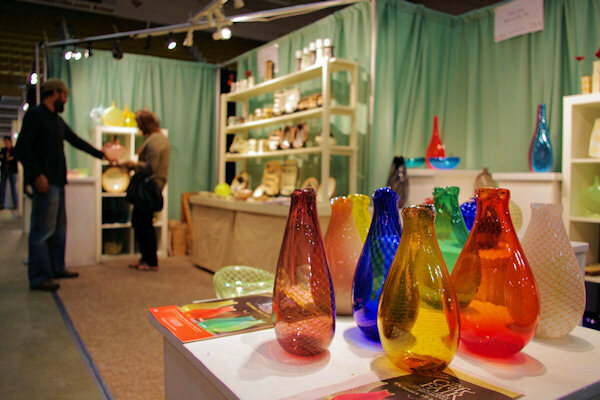 Visit with talented artists that exhibit their creations – including glass, ceramics, woodworking, metalsmithing and the fabric arts. 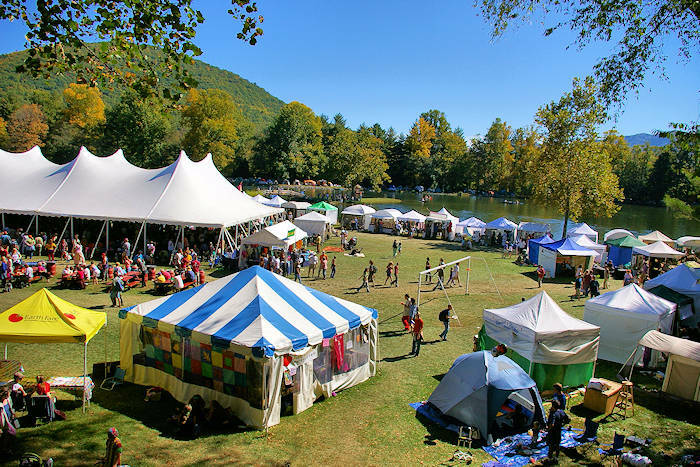 From pottery to jewelry to sculpture and two-dimensional art, the market promises a bouquet of contemporary and traditional mountain art and crafts. Plus, dozens of art galleries are a short walk away. See more great Art Events & Festivals. For even more art, there are many art galleries nearby. 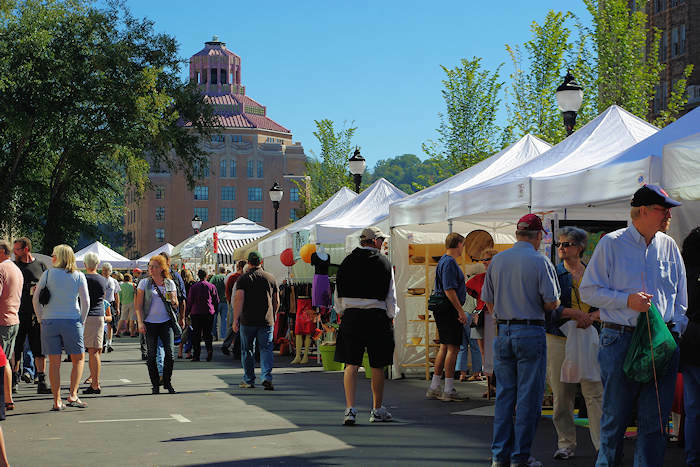 See our Downtown Asheville Guide for many things to see and do. On many weekends, there are additional events and festivals downtown. 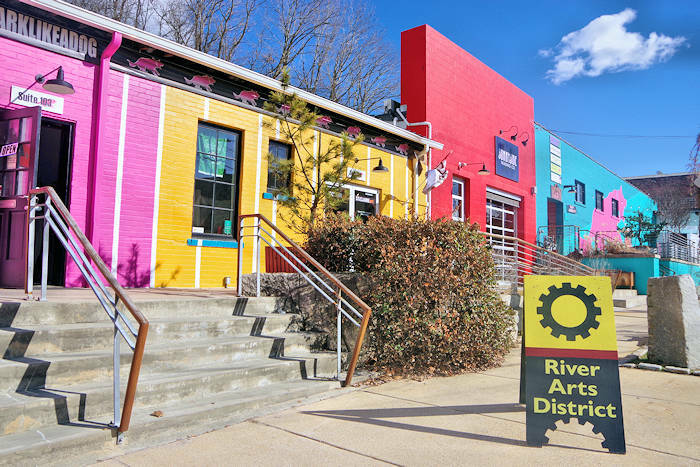 A few miles away is the River Arts District, home to 200 artist studios and galleries. Visit a gallery to be amazed at a big variety of local art and craft, including glass, paintings, pottery and every other medium you can imagine. Asheville and the North Carolina mountains are home to hundreds of world-class artists. Here are our favorite galleries to see the their creations.